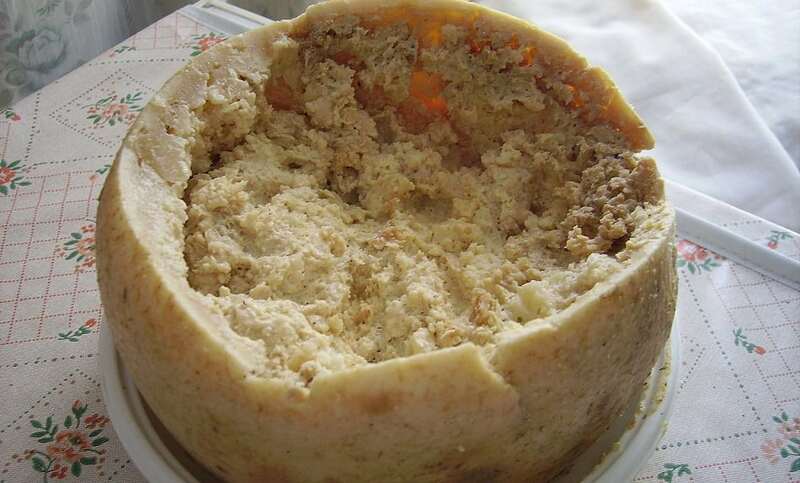 Casu Marzu translated means “rotten cheese”. It is also known as maggot cheese because it is made from traditional sheep milk and insect larvae. The cheese is left for months to decompose and then the larvae of a cheese fly are placed inside the cheese to break down its fat. They look like see-through worms, under 1 cm long and can jump up to 15 cm when touched. Some people remove the maggots before eating, others prefer to leave them in. If the maggots die, the cheese becomes toxic. It originated in Italy.